The Internal Revenue Service (IRS) provides various tax benefits for educational expenses to individuals who pay for their own education or for dependents. Burden of higher education is reduced making it more affordable. Eligibility criteria for tax benefits vary program to program. 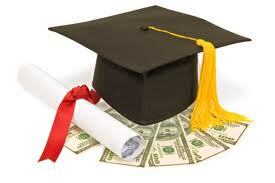 Tuition and Fees deduction is eligible to a rebate of up to $4,000 on your income. Deductions are available under specific terms and conditions for qualified students, spouse or any dependent whomsoever is undergoing an education program. Tuition fees and enrolment fees for post secondary educational institution which does not include the expenses incurred on family, living or personal cause are called qualified expenses. American Opportunity Credit is the credit program offered by the IRS for students and their families to pay up the education expenses. Distinct from the deduction which reduces the income subject to taxation, this credit program directly reduces the income tax itself. American Opportunity Credit is available in the first four years of the postsecondary education while the eligible student is the one who is pursuing an undergraduate degree or other recognized educational credentials. Lifetime learning Tax credit happens to be an exceptionally best option for those who are willing to pursue education lifelong. This credit program facilitates for unlimited number of years irrespective of any degree or any other educational credentials. This program can either be used for postsecondary education or for courses which enhance job skills. The qualifying expenses of both the above credit programs include enrolment fees, tuition fees, course related books, supplies and equipments.